Gerber Gerber Gator Machete Jr. 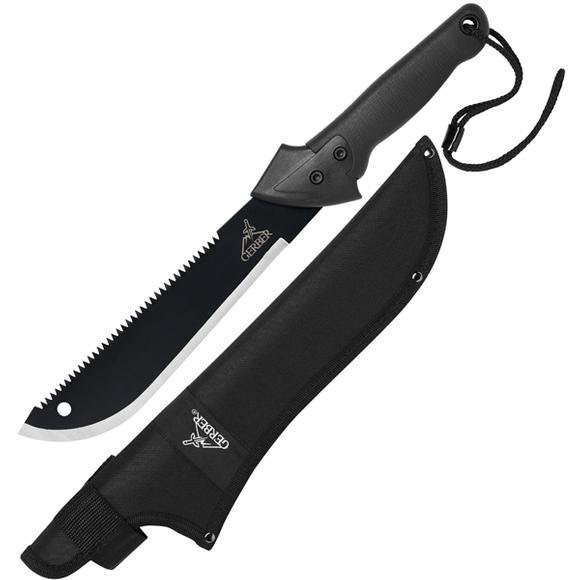 The Gator Machete sports Gerber &apos;s proprietary Gator rubber grip for ergonomic control while using either the fine edge blade on one side, or the saw on the other. The riveted, nylon sheath provides safe, durable transport.